PAO Breaks open a fish story. With a 4ft long space worm. 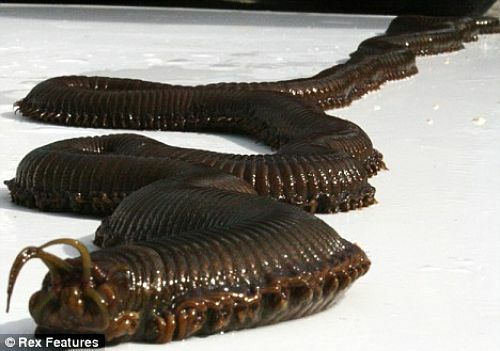 “Aquarium staff have unearthed a ‘giant sea’ worm that was attacking coral reef and prize fish. The 4ft long monster, named Barry, had launched a sustained attack on the reef in a display tank at Newquay’s Blue Reef Aquarium over recent months. Workers at the Cornwall-based attraction had been left scratching their heads as to why the coral had been left devastated and – in some cases – cut in half. Are you fcking serious? PAO researchers could not believe the amazingness of this discovery. So we dug deeper. We opened books, turned on computers, and fired up the Iphone App Store. 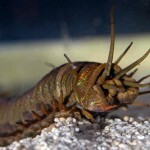 The aquarium didn’t look too far to make a bold assumption as to where it came from.. the spokesmen we talked to was “basically claiming it came as a larvae on a rock they imported from Mars”. Kind of silly, if you ask us – why blame outer space? PAO usually knows the “truth lies within” – people are to blame. Usually ones that are involved with the water, drugs, and the internet.